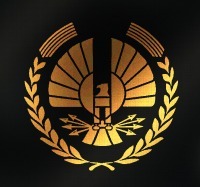 Welcome to the Hunger Games RP Forum! The reboot is near the end, convince your friends to join and don't be a stranger! The first games will happen when we get more people! The Rules || Character Templates || Guides to help you get settled! Here you will find your rules, character sheets, and where you place your character topics! Discuss your Ideas and whatnot here! Here are the topics from the past. Via OOC, Districts, and past games.